St. Bonaventure’s College is delighted to announce SBC After 3; a new after school program beginning in September 2018. In her capacity of Dean (Strategic Inititaives), Ms. Allison Anderson, B.A., B.Ed., M.Ed., has had primary responsibility for formulating and designing this program for our students. In keeping with our mission, the core of the program will be focused on cura personalis, the care for the whole child. 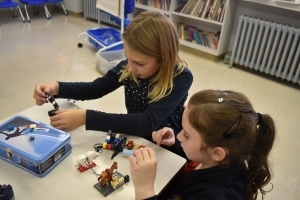 This fun and engaging program will be offered for students in Kindergarten to Grade 6. Children will be given opportunities to finish homework with support and guidance from qualified instructors. Healthy snacks will be provided and lots of time for physical activities will be offered daily. 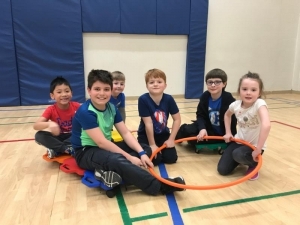 Extracurricular activities will be planned each week and children will have plenty of time for fun with friends in the gym or the Aula Maxima or outside on the school campus. Registration forms for SBC After 3 can be downloaded here and are also available in the Principal’s Office in Mullock Hall. The cost for SBC After 3 is $20 per day, and a $100 deposit is required to secure your child’s spot. The deposit will be applied against the first billing cycle. For further information about payment please contact Ms. Shelley Martin at smartin@stbons.ca or by calling (709) 726-0024, Ext. 202. 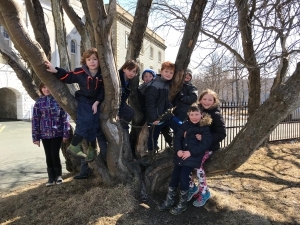 If you have further questions regarding SBC After 3, please contact Ms. Allison Anderson, Program Coordinator at aanderson@stbons.ca or by calling (709) 726-0024, Ext. 231. Welcome to SBC After 3! Listed below are important details about our new after school program. SBC After 3 begins on the first day of school (September 4, 2018). The program runs daily from 3:00-5:30p.m. Pick up time each day is 5:30p.m. at the latest. The program coordinator for SBC After 3 is Grade 6 teacher, Ms. Brittany Samuelson. SBC After 3 will take place on the main floor of Holland Hall. Unless otherwise indicated, children will need to be picked up from the classroom from which the program is running (at the end of the hallway on the main floor). Ms. Samuelson will sign out children as they leave at the end of each day. If your child is registered on an “As Needed” basis, please email Ms. Samuelson as soon as possible on the day(s) you will need. SBC After 3 will run on all days that school is open (unless otherwise indicated in advance). Please send along a snack for your child to be eaten upon the start of the program each day. Alternate snacks will be available should children forget their own snack on a given day. The SBC After 3 program will be going outside most afternoons (weather dependent). Please send appropriate clothing for outdoor play.